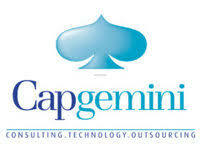 Capgemini pseudo code on line test is conducted by Co cubes, It is the second elimination round after the Aptitude and Essay Topic Round, In this round there will be 20 MCQ questions with 20 minutes of time duration,the questions mainly come from C, C++, Data Structure commands, and syntaxes, type of questions like finding the error in the code, finding the out put of the code, line insertion questions, binary search tree , recursion, functions, loop ,pointers and switch case related questions. Question: Point out the error in the program? Which of the following lines should be inserted to complete the above code? Question: What is the output of this C code? Question: Convert the following 211 decimal number to 8-bit binary? Question: Comment on the output of this C code? Question: How will you find the maximum element in a binary search tree? Question: What is the output of the following code? Is this enough for capgemini pseudo code placement preparation?